I hope you all had a wonderful weekend! I am SO excited to have the whole week off for Thanksgiving break! I have so many things I have been wanting to get done and am excited to finally have some extra time to do them! One of my goals this year was to get more word work stations organized for my students during Daily 5, and I am happy to say that so far, so good! 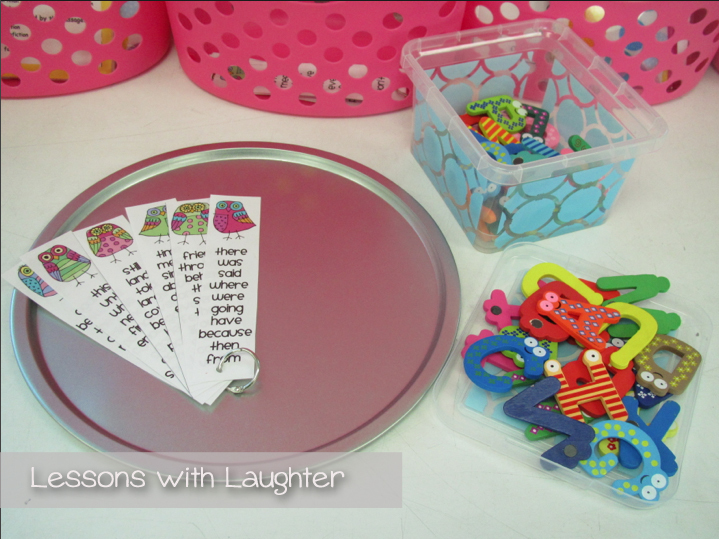 I want to share one word work activity that worked really well during October with the cute Halloween letters, and now I have colorful letters that will work during any season! 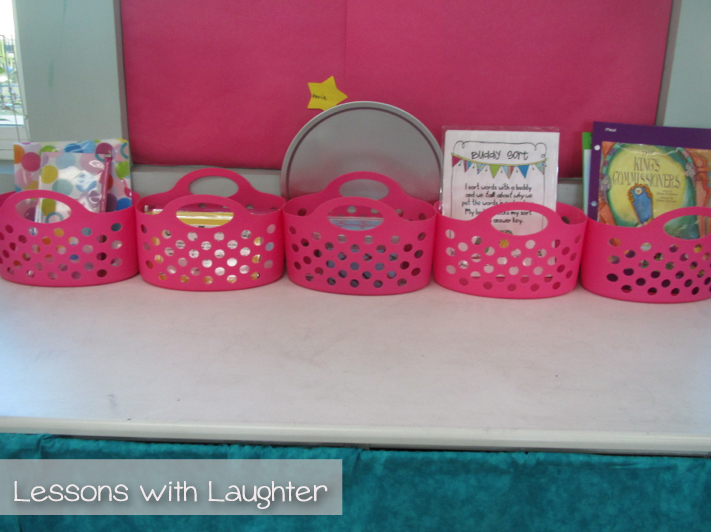 First, here is where I keep most of our Daily 5 activities for word work and work on writing. 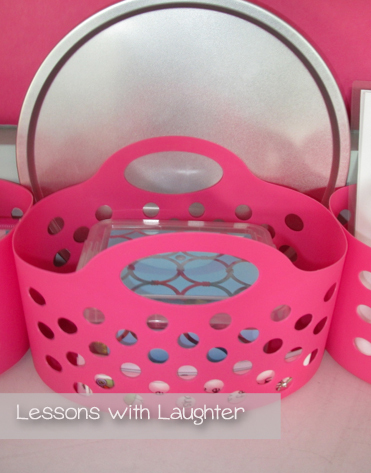 The pink baskets are the perfect size to hold most of the materials needed. Here is the basket for the magnetic wow work. I picked up a couple pizza pans at the Dollar Tree (pink baskets are from there as well) and the cute blue container I just found at Staples last weekend! I am in LOVE with these letters! I ordered them off etsy earlier this year from “2 Crystal Chicks.” They are wooden and magnetic and have cute eyes on the top of every letter! Students use the letters to spell out their spelling words based on their Words Their Way list for the week. I have 5 different spelling groups, so I tell students they can work by themselves or with someone in the same group as them to practice their words. To help students work on that strategy I showed them the adorable owl sight words that I got from my sweet friend Tara. You can see them in action in her class here. 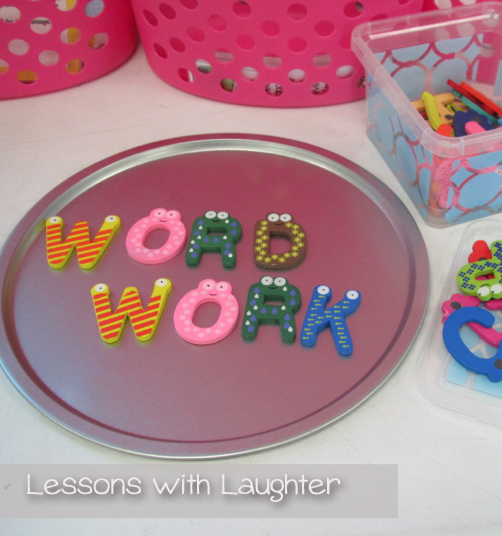 My students have really enjoyed the word work activities that we have been doing this year! They have been engaged and I think that it is really important for them to have these kinesthetic and visual experiences with their spelling and sight words! Looks like a lot of fun learning taking place! And I love all the pink! It almost didn't matter what was inside those baskets. You had me at pink baskets, lol. 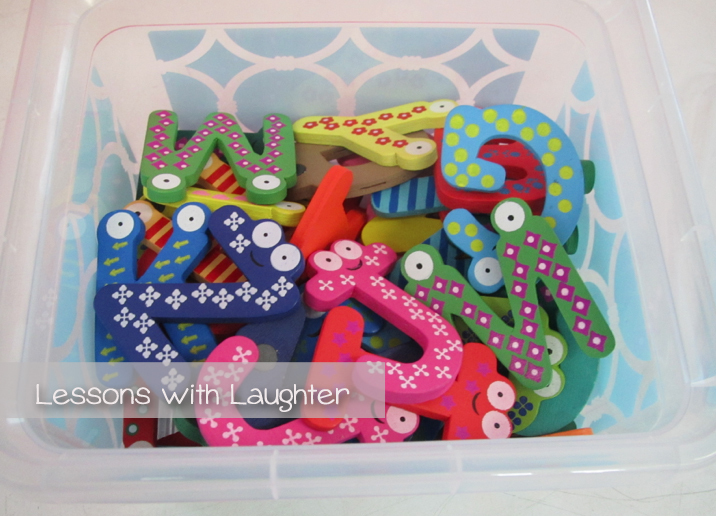 I love those foam letters, way better than my regular magnets. I like the idea of the pizza baking sheet, too! I loved reading about your word work Molly! It's so organized and the kids must love it. Happy break to you! !